Oh hello there! 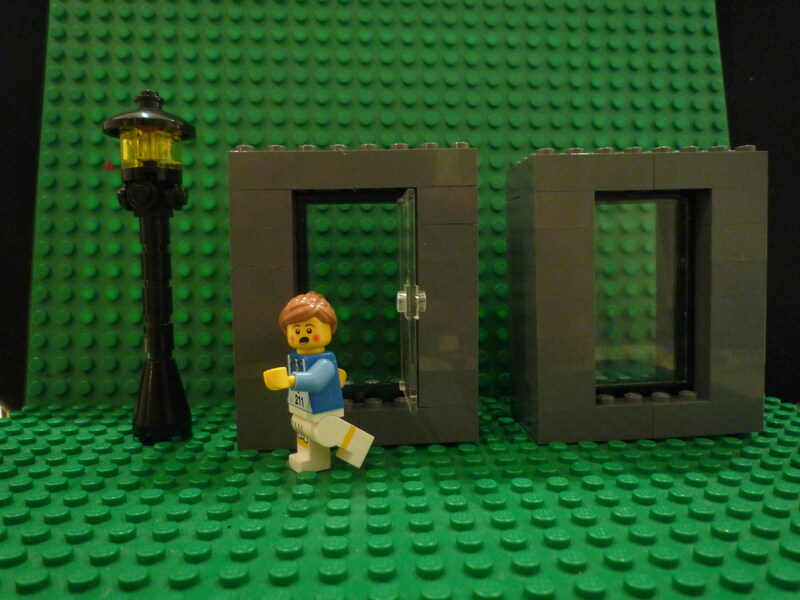 Thought I’d send my Lego persona to say Hi seeing as this is my 100th blog post and its only 11 weeks until the return of my Lego running blog with Janathon! 100 is also in the news this week with a 100-year-old completing the Toronto Marathon. He started running at 89 so there is definitely no pressure yet for me to sign up for a marathon until I am much older! With many of my blogging friends signing on the dotted lines for marathons in 2012 I have to admit that I was carried along with their enthusiasm and seriously deliberated which marathon I should enter. This month I discovered that, after recent injury, I was still able to run a Half Marathon (slowly) after limited training. Undertaking a marathon is a big time commitment which I don’t think I’m ready for yet. On the other hand I can get half marathon fit in much less time, run several more next year and have a go at attacking a new ambitious PB. Looks like It’ll be a busy year running lots of races! In the mean time my general fitness and pace at BMF are coming back. I have the Great South Run (10 miles) in two weeks and the Gosport Half Marathon later in November. Both races have the advantage of being nice and flat so training and continued improvement willing I will be trying run as close as I can to my HM pace last year and see if I can match or beat my PB. Categories: running | Tags: Gosport Half Marathon, Great South Run, Janathon, lego, PBs, Running, veteran marathon runners | Permalink. Happy 100th blogday! Glad fitness is on the up, long may it continue.